ACCESS Men’s Shelter is operated by the Coalition of Committed Christians and provides support to the homeless and low-income community in Franklin County. ACCESS serves at least one nutritious meal seven days a week through a food service program for low income and disadvantaged individuals and families. Additionally, ACCESS operates a temporary emergency shelter for those in need of a bed and warm meal. The mission of ACCESS is only achieved through a strong team. This team includes an executive director, part-time staff, and numerous volunteers from across the county and region. The food service program is supported through a strong network of volunteer workers who help with food pickup and delivery; food preparation; serving; storage; kitchen and dining area clean-up; and other activities as needed. The shelter program is specifically for men, at least 18 years old, who are without housing. This temporary emergency shelter is available on a night-to-night basis for up to 30 nights. The ACCESS shelter is also available, no matter how long the person has stayed in the facility, on nights when the temperature drops below 32 degrees. Through our Serve Frankfort ministry, Buck Run partners with ACCESS on a quarterly basis. 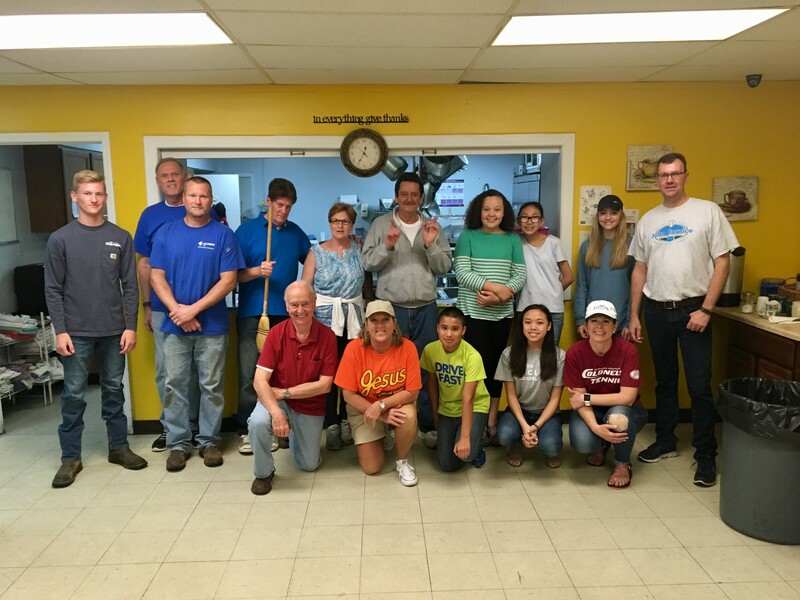 Buck Run launched Serve Frankfort in 2015 to meet the physical and spiritual needs within our community with the goal of making relationships with people, serve them, and have the opportunity to share the good news of Jesus Christ. ACCESS Men’s Shelter has been a core ministry partner since the beginning. When helping at ACCESS, Serve Frankfort teams typically spend the morning cleaning the facility, preparing lunch, and then serving a meal. Through these actions, teams look for opportunities to build relationships and show the love of Christ. Pray for donations of time, supplies, and money to the shelter.